Men The Experience opened this past spring, but I waited until it had been running several weeks before checking it out. Since there are always plenty of early reviewers, I sometimes like to give a new production a little time before I blog about it. The venue, the Riviera Hotel & Casino, is a Las Vegas landmark to anyone who knows this town. The "Riv" which opened in 1955, will celebrate its 60th Anniversary next year. changing and evolving, and our show is a reflection of that." This is a stage show, by and large, but when they did come down into the audience I can attest it was tastefully playful. The show kicks off with Give it 2 U, (Alan Thicke), showing right away that these guys can really dance! So, with that being my first impression I was pleased to see it carry into the rest of the night. Of course there were plenty of costumes, it goes with the territory, and a couple of dance numbers and songs that have a place in probably every male dance revue in the country, including It's Raining Men…Some things are a tradition for a reason though, we women like to imagine it's raining men, (it makes us giggle)! One of the guys dance solos to Usher's Scream was explosive, and my friend and I loved the red jeans with high tops, (and of course no shirt)....Another solo dance to Bon Jovi's Wanted, Dead or Alive was a hit for all of us classic rock lovers and the dancer’s bad boy style with chaps and bandana were different enough to be interesting without trying too hard. This is the first I ever remember seeing body art, (on a few of the male dancers), but it wasn't over the top, and on some of the guys, it fit their look, so the personal expression was a plus. There was a humorous game show scene that was reminded me of something out of MAD TV. I appreciate that these guys get it that ladies like a sense of humor! The gangster number was high energy and the swing style dancing was a hit, however, I thought it could lose some of the machine gun simulations. As is common in these shows a couple of volunteers went onstage, one for a dual dance to Sum 41's Scotty Doesn't Know and the other for the game show sequence….They were returned to their seats blushing, but otherwise unharmed. People tend to think of male revues only as bachelorette party entertainment, but watching this one it hit me that it's actually a great beginning for any night out in Vegas. On that note, I saw that men were also welcome. Much of the show's overall look and sound is similar to what most of us know, but there is something more to these men. Individually and as a group they are charming, sweet, and talented dancers. By that I mean artists. They put as much passion into their show as I've seen on any Vegas stage. Emcee and front man A.J. Trunk's style as emcee is warm, inviting, and at times humorous without being over the top. He is media savvy, having been in the business for over a decade and having performed all over the country, but also seems genuinely down to earth. Having been in the business for several years, A.J. has seen it all, and knew going in what he wanted Men The Experience, to be. I asked him if he's approached a lot by guys who want to get into exotic dancing. A.J. said yep, and that he tells them first and foremost that to be in this business a guy has to like and respect women, and not just the "hot" ones, but all of them…from 19 to 95! On top of that a male dancer has to be willing to work out pretty hard almost every day. Physical perfection is the standard, and nothing less. That's just the way the business is. Dancing is hard work and a serious career, if you want it to last. The rewards are obvious, but in addition to that the feeling that you're making a lady smile, laugh, feel good and maybe forget about her problems for an hour or two is just as important. 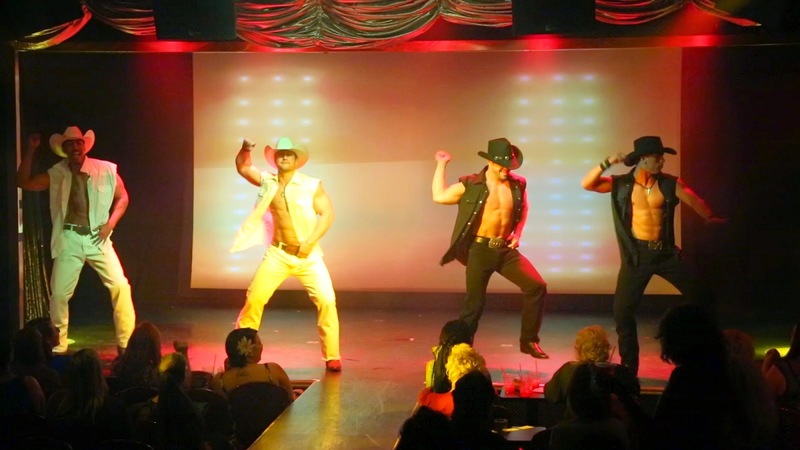 Over the years there have been plenty of feature films and documentaries about female exotic dancers such as Showgirls, Strip Tease, and Night at the Blue Iguana, but really none about men, until recently. 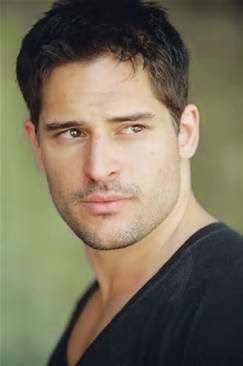 Male exotic dancing has now gone more mainstream due to recent films such as the Steven Soderbergh directed "Magic Mike", and now "La Bare", the documentary just released and directed by Joe Manganiello (of True Blood and Magic Mike), along with his brother Nick Manganiello. Joe invested his own money in the film to produce La Bare. "It's raw, but it's not what you'd expect. Everybody has this misconception about male entertainment, and they have no idea what they're talking about. That's why I made the film. No one had ever explored this, and people had just kind of sat back and had assumptions about it," said Joe. 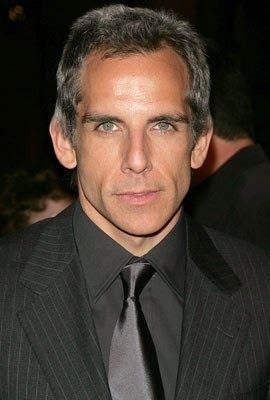 Also, Ben stiller is now confirmed to star in a film about the business, but unlike many of his other projects, this one is not a comedy. It’s the story of Nick DeNoia, choreographer of one of the first and most famous male dance groups ever and the scandal and murder that plagued the operation. Currently in pre production, the feature is expected to be released in 2016. Last but of course not least, the sequel to Magic Mike, the film, "Magic Mike XXL," where the guys go on a road trip, is expected to begin production soon and be released in 2015. Las Vegas is at the forefront of entertainment when it comes to variety and trends, and in a town with so much offered in every genre, it can take a lot to stand out. With a dance revue, people don't just want to see bodies moving onstage, they want to feel a connection with the performers. With "Men," they do. To entertain in the true sense of the word, is to combine talent with a personal touch. To care that each of the audience members are having a truly good time, and that these guys do...in spades.